Get started by finding a good school nearby further down this page. always growing and hair regularly needs trimming, so barbers are always in demand. In order to get good training and become competent in the trade there are plenty of schools, colleges, and online barber schools that can take you from novice haircutter to skilled barber. Welcome, and let’s take a look at the how to become a barber. And let’s answer all the questions you may have such as: How long does the training take? What’s the cost? And what kind of career and salary can I expect once I have graduated and am working day to day? How to Become a Barber + what is a barber? How to Become a Barber + What is a Barber? What does a Barber do? Barbers specialize in hair care for men. But women who desire a short haircut are happily served as well. 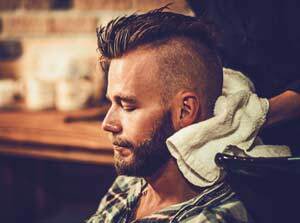 Usually barbers perform other male cosmetic services as well such as shaves – both traditional straight razor style and modern style – shampooing, applying hair coloring, scalp and head massage, and hair styling. It is important to realize though that one’s training in massage is minimal. To get a really good massage education you’d have to go to massage therapy school. Though a military style barber will resort to simply a powerful pair of clippers, professionals are trained to have an assortment of tools at their command including clippers, razors, combs, scissors, blow dryers, brushes and towels (though not everyone would classify a towel as a “tool”). 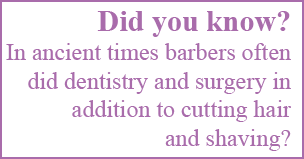 In ancient days barbers were also called on to served as surgeons and dentists as well as men’s grooming experts. However, scalpels and pliers have long since been absent from barber training. Part of a barber’s job is to create a comfortable atmosphere for their clients, so an easy-going personality (and a work-place free of surgical instruments) helps. Barbers usually perform many of the duties of a small business person. The person who performs hair services will often be the same one who accepts the payment and does the books. He or she will usually also be the one to sell any products that the shop has available. For this reason the skills of an entrepreneur and small businessman will often be touched upon at barbering school. To go to barber college or school there are minimum requirements. So step one of “How to Become a Barber?” is to check your birth certificate to make sure that you are of age – at least sixteen years old – and have a high school diploma or General Educational Development (GED) pass. Step two is to successfully complete the training whether at a cosmetology or beauty school or barbering school. Step three is to pass the state or provincial licensing exam and receive your license. In some locales you can do your training as a barber’s apprentice: check out the video at the bottom of this page. In barbering school itself you’ll learn many of the same things that beauty/cosmetology school students learn. 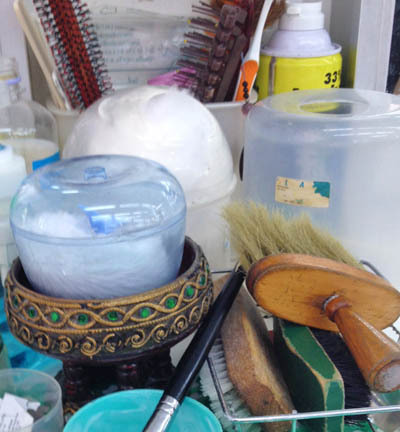 All beauty students including those who specialize in makeup, nails and esthetics must have good hygiene and sanitation procedures and practices. As you can see in the table below most of the training is hands-on/practical. This means that only only a small portion of your studies can be taken online. Yes, you will need to attend an actual physical school for most of your learning — at least if you want to get a bona fide barber’s license. Though it varies from state to state barber specialists often train just as long as cosmetologists. In fact many large cosmetology schools run barber shop schools right along with their other courses of study. As men start to care more for their appearances more man-focused salons and professional barbers to work in the salons are in demand. The Connecticut Department of Public Health website shows examples of barber classes that you’ll attend while at barbering school. Though not every state will have the same requirements of their schools it does give you an idea the schooling you’ll go through. Sanitation and Hygiene – this part of the curriculum can be further broken down into 1. your own hygiene and good grooming, 2. sanitation procedures, and 3. infection controls for disease and blood-borne pathogens. Anatomy and Physiology – subdivided into 1. skin properties and skin disorders, and 2. scalp properties and disorders. Chemical Procedures – includes 1. Colouring and Lightening of Hair, 2. Chemical Waving, 3. Chemical Relaxing of Hair. Hair Care and Hair Treatment – 1. Shampoos & Rinses, 2. Scalp & Hair Care. Business Practices – 1. Professional behaviour and salesmanship, 2. Salon/Barbershop Management, 3. Safety & Client Protection. State/Provincial laws, rules, and regulations regarding barbering as well as Equal Employment Opportunity Commission guidelines. Not all states/provinces recognize or allow apprenticeships as training leading up to licensing. Finding an experienced barber to accept you as an apprentice is not always easy. Often apprenticeship takes significantly longer to complete. Teacher/Student Ratio – the more teachers there are per student the greater the likelihood of getting personalized instruction and having your questions answered. Financials – of great importance to a lot of potential students is the cost of tuition and supplies. The status and location of the school will have a big affect on how much is charged. Also can you get financial aid attending your chosen school? 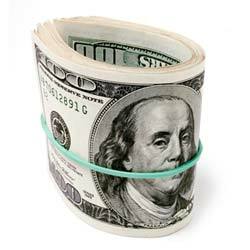 It is easier to get scholarships and student loans for some schools than it is for others. Location – do you need a school that is close by or can you relocate? Even if the school is nearby it may be worthwhile to move even closer to the school to avoid long commutes that could be better spent studying or relaxing. 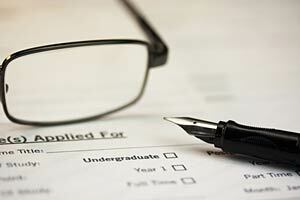 Job Placement – some schools offer assistance in finding work after you are licensed. A school’s connections and advocacy for you can be of great help in finding work that suits you! Full time of part time? – Do you want to continue working or looking after your children while studying? It is also important to know what time of day the barber classes are scheduled. It is sometimes possible to study evenings/nights or weekends. If a school only offers training at a time that conflicts with your duties out of school obviously you will need to look elsewhere… or change your life around in other ways. Online Barbering School – Due to the very hands-on nature of the training you will need to attend an actual physical school for all or most of your training. Though many disciplines can be taught perfectly well online, barbering is not one of them unfortunately! That said there are many resources online for gaining knowledge and learning some of the methodology of barbering. The duration of the program from start to finish? – more on that below. It’s a good idea to sit down and write out your needs and wants regarding barbering school so that you can be clear about what schools will work for you and which will not. You can avoid a lot of problems later through a little clear thinking now, and through learning what you will study in the various barber classes. When your ready you can use the form below to help find good schools nearby. How Long Does Barber Shop School last? School can take only 1000 hours — as in Utah or Connecticut — and only six months. Or in other states or provinces in Canada school can take up to 2000 hours and two years to complete if done part time. As mentioned earlier barber apprenticeships take longer and are not a viable option in every state. An example of a typical school is Universal Barber College in Phoenix, Arizona that offers a 1500-hour course. Or if you already have your cosmetology license, a course that takes only 750 hours. They offer both part time and full time courses. Check the table below to find out how many hours it takes in different states. Colorado is the lowest at 50 hours, while Iowa and Nebraska have the most rigorous hour requirements at 2100. *Board-approved schools in NY determine the length of course — approximately 500 hours. Of course just because you successfully complete the training doesn’t automatically make you a licensed barber. Yes, the “licensed” part has to be completed (e.g., MT)! That typically consists of written and practical portions and is not a big concern if you have done well according to your barbering instructors and teachers. At any rate it is important to have questions prepared for your interview with potential colleges in order that you know what you are getting into and that the school is for you. Barber’s tools including talcum, brushes and dusters. If you are eager to get into the barbering work force either because of financial reasons or because you have potential jobs waiting for you, then obviously the shorter course options will be more attractive. A barber graduate can always complete continuing education (e.g., WI) if desired or to expand upon his or her knowledge of different cuts, styles, and procedures. If you do have the time and inclination, though, it might be a good idea to take a longer course for a more thorough education. A more in-depth course of studies with more practice hours will also make it easier to pass the licensing exams. And you will likely be more confident as you join the work force. 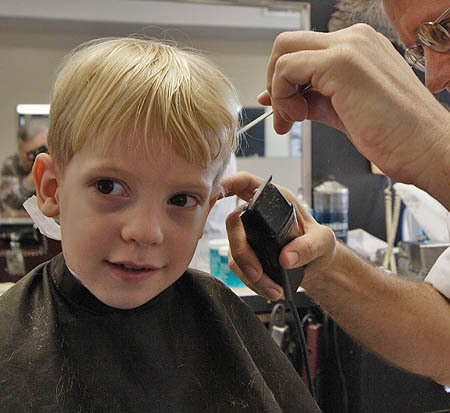 Schools for barbers vary widely in price because of a variety of reasons. They can range anywhere from under $5,000 up to more than $20,000. Before you ask the price of a school, though, check out what they have to offer. The higher cost may be offset by extras that other schools don’t provide in their price. Perhaps the program is longer or more in-depth. It could be the facilities are better. It could be that the barber college has a better or safer location. Maybe the variety of barber classes is more interesting. If there are enough pluses coming along with the extra $5,000 you may spend then it could be worth the extra expenditure for a one-off outlay. Again, when you are spending money on something that will serve you well for years to come and on a day-to-day basis it could well be worth it to go for the school that really clicks with you. Who knows? The school you like could be a less expensive one. *New York board-approved schools determine the hours they need to train you — around 500 hours. Less hours = less costly program. If you look deeper into each of these schools you’ll see positives and negatives for each. Do you want to go to a chain of schools like Paul Mitchell that presents a similar curriculum across the country at their different schools? Or would you prefer to get taught by a local startup in or near your community with a less certain (could be really good or not so good) quality of instruction? Research is needed! Barber licenses requirements vary from state to state in the United States and from province to province in Canada. All require that you study and practice for a minimum number of hours in school before you attempt the licensing exam. A license is required to legally work as a barber – though in many Canadian provinces no license is required or a cosmetologist license covers the occupation. Once you have received your license it must be displayed at your place of work in the same way that a cab driver must have his license easily viewable in his or her cab. Most licensing exams will include both practical and written portions though not always. To find out more about your state or province’s regulations and licensing process contact them directly. 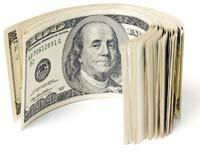 In addition there are often yearly renewal fees for many licenses. For example in Pennsylvania the current fee for the exam to become licensed as a barber after graduating from your school is $150. Should you fail the initial exam a re-examination costs $77 for the practical portion of the exam, and $63 for the theory exam or $139 for both portions. If you also wish to open a barber shop the cost for licensure is $110. But that’s not the end of it! Every two years (one year in some states) you must pay a renewal fee of $109 as a barber and $187 for a barber shop. There are good variety of jobs available for an enterprising barber. You could work in a cruise ship salon or barber shop. You could gain experience renting a chair in a shop. You could branch out on your own and start your own salon and rent out chairs to other barbers. You could be a traveling barber going to remote job locations where you can charge premium prices for your services. You could become a barber instructor yourself and pass on your knowledge to others. With more experience and study you could start calling yourself a trichologist. If you have a love of the spotlight and undeniable flair you could become a celebrity barber. Since barbers are in demand — most folks do get regular haircuts — there is always room for another especially if you are willing to travel and be creative. Some of the best paid jobs in barbering are in institutions like psychiatric hospitals and nursing homes. The Bureau of Labor Statistics (BLS) notes that barber’s average income in the US is $14.01/hr or $29,140 by the year as of May 2015. The annual wage can range anywhere between$17,940 and $47,410. While employment in personal care services in one form or another takes up almost all barber jobs the salary for those working in psychiatric and substance abuse hospitals is the highest by far. Keep in mind that these figures are for those working a 40-hour week. There are many people who work longer and shorter hours so take this into consideration. And the top five paying states for barbers in 2015? The first step to getting a job is training at a good school. You can find one nearby by entering your ZIP below. If you are looking for evening, night or weekend classes make sure to inquire when you first make contact. The demand for barbers will remain steady according to projections from the BLS. Salaries are expected to keep pace with this growth, meaning barbers in 2022 will have the same buying power based on their wage as they do today. Overall the choice of barbering as an occupation is a good one with steady employment and a proven need. Do you enjoy working with people? Do you enjoy helping people feel good about themselves through improving their appearance? Do you not mind standing on your feet a large part of your day? Do you have good manual dexterity? You could be a good fit for the barber’s daily environment. Please check out the schools for barbering in your area and beyond to further investigate the possibilities. By all means talk to some barbers – if you haven’t already – to get a feel for the occupation and what it holds for you. Good luck on your quest for the best barber college for your particular needs! Chicago is making a big step for young people sent to the Cook County Temporary Detention Center. Thanks to the S.T.A.R. Program, or Standing Tall Against Recidivism, the Detention Center now has a place to train barbers on site. The school aims to teach young people a valuable skill that they can parlay into a marketable skill once they’re back home. Similar to the above is the success story of a former inmate who started a barber shop after release. It’s great that his prison sentence allowed him the time to train and also gave him the ability to relate to people that probably no other barber in town has such a comfort with! Also an inspiring example of an old-style barber who has done cuts for the likes of Al Pacino and George Carlin. He’s still going strong after 40 years. You can tell from this story and the previous that one of the most important qualities of a successful barber is still having great social skills. Finally, a retiring barber. Yes, even barber’s retire even when they enjoy their craft so much that they don’t want to (shaky hands?). I hope we can all aspire to a 60+ year career doing what we love. Congrats Ernie and happy retirement! It’s particularly cool that Ernie gave his last cut to the same person who was his first customer — his son!